Australia’s top rated home cleaners. See why Google says we're better. Really happy with the work done today. Throughly satisfied. House was spotless, best cleaner we have ever had! Thank you for your great help, yesterday - it is very much appreciated! Susmita does an amazing job with cleaning our house. We love her! We match you with one of our TidyMe Crew in your area. They will become your regular cleaner so that they get to know you and the ins and outs of your home. We've tidied over 20,000 homes. Our customers love our automated payments and easy scheduling online. We will even send you a lockbox to borrow if you are not home. We're eco-warriors - our Crew walk or catch public transport and we work with our friends at method to provide environmentally friendly products to leave your house looking and smelling fresh. We've literally saved marriages. When you don’t need to worry about who is cleaning the toilet, there’s more time to be you. "If my surroundings are tidy and well ordered... all is well with the world"
"I do my job with love... it feels so amazing when the customer arrives home"
We believe in businesses doing great things. 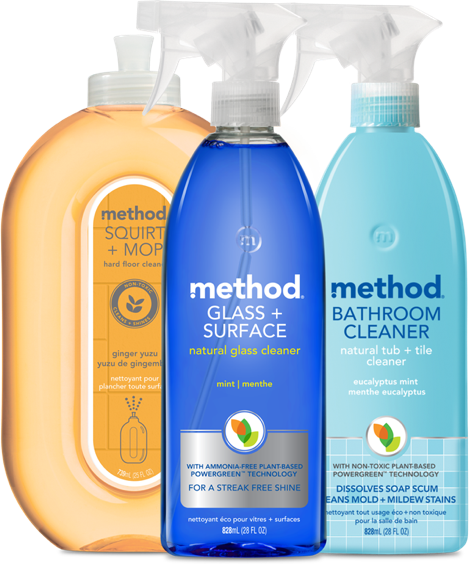 That’s why we partnered with method, who are committed to making the planet, and our homes, a cleaner place with their environmentally friendly home cleaning products.